We have quite a few Easter traditions in our house. We wake up early and the children search for their Easter baskets that the Easter bunny filled and hid the night before. Then we head outdoors to pick lollipops that have grown from jelly beans that were planted the night before. After a nice appetizer of candy, it is a time for our big breakfast of eggs, pancakes, bacon and juice. Then off to church and a family gathering. Each year we flip flop houses – so one year it is my in laws and the next year it is my sister’s house. At the in laws there is always an Easter Egg Hunt with money inside the plastic eggs. At my sister’s house the kids find candy filled eggs and we hit an pinata (not sure why the pinata but we have done this since we were children too)! 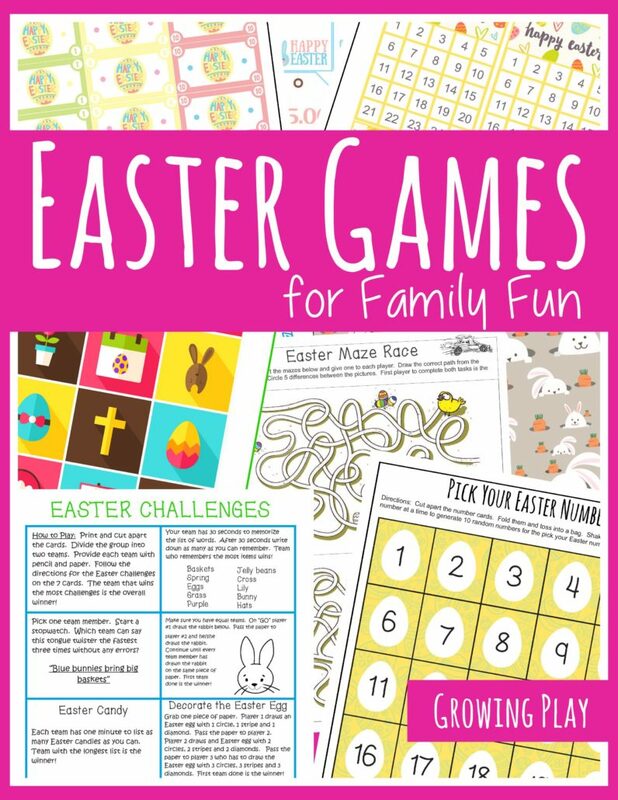 My sister usually buys a board game for us to play or this year we will try these Easter Challenges. We have a large group so it will be easy to break up into a few teams but you can just play the game with two teams. Download the challenges and cut the 8 cards apart. Grab some paper and pencils and you are all set to complete the Easter challenges. 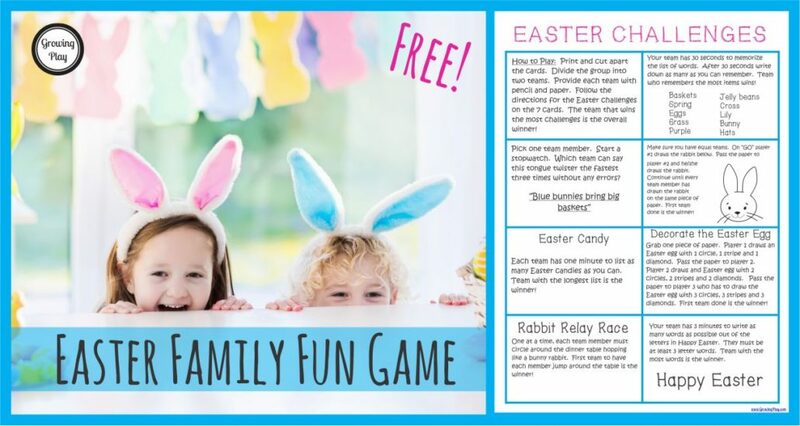 The Easter Challenge is from the Easter Games for Family Fun packet.